COVEN, Wanda. 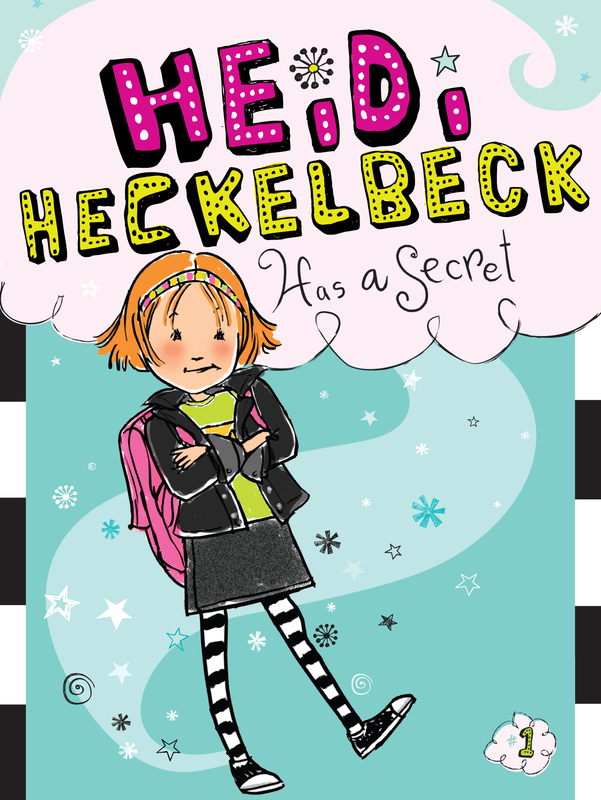 Heidi Heckelbeck Has a Secret. Bk. 1. illus. by Priscilla Burris. 118p. (Heidi Heckelbeck Series). CIP. S & S/Little Simon. 2012. Tr $14.99. ISBN 978-1-4424-4087-6; pap. $4.99. ISBN 978-1-4424-3565-0; ebook $5.99. ISBN 978-1-4424-3566-7. LC 2011014304. Gr 1-3–After being homeschooled, Heidi Heckelbeck is not happy about starting second grade at Brewster Elementary. Her bad attitude shines through hilariously in dialogue and details, such as a math problem she makes up: “Heidi + School = Yuck.” Quickly, mean Melanie and nice new friend Lucy emerge as Heidi makes her way through class, lunch in the cafeteria, and rehearsal for the school play. Much of the plot centers on Melanie’s nasty antics. Don’t worry; Heidi gets even, thanks to the fact that she is a witch and she consults her Book of Spells in the cliff-hanger ending. It’s this secret about her identity, and Heidi’s relatable personality, that will keep readers coming back for more. Large font, an engaging story, and frequent illustrations make this a good choice for new chapter-book readers.